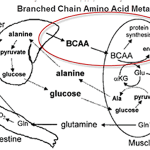 What are Branched-chain amino acids (BCAAs)? Sign up to receive our latest tips and receive a free gift. In Honor of Breast Cancer Awareness Month, Schedule a Thermogram!